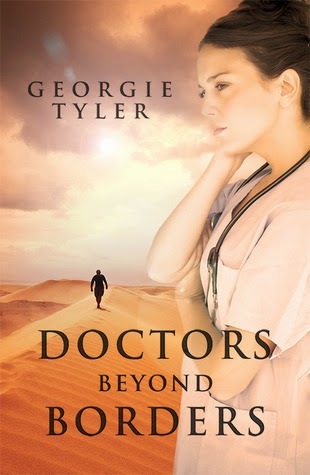 Have you read DOCTORS BEYOND BORDERS? If not what are you waiting for? Only kidding! Well, kinda. Of course I want you to read my book. I write so you can read. With two new books scheduled for release later in the year, Cuffs and Bass I'm super excited but DBB is my first published work (released January 1, 2014) and the second book I ever wrote. I'm mighty proud of it. The story is set in Sudan where trouble continuously brews and bubbles between greedy warlords, the Government and the people. Ariadne Tate opts to take a secondment to the war torn region with Medecines Sans Frontieres to get away from her humdrum life in Sydney. Life is far from boring in her posting especially when she meets fellow Doctor, Ford Gosden and is faced with the brutal warlord, Yakubu. Things spiral out of control when Ariadne's hope for a new life with the man she loves begins to fade and the fight for her life begins. Take a look at the reviews on my Goodreads page and on Amazon. I can't complain, they're pretty good. As a writer, you feel such a sense of accomplishment when readers enjoy your books and take the time to discuss their likes and dislikes through this forum. I hope you take the time to have a look and perhaps even purchase and review my book. Thanks for your time. P.S Here are the links to purchase and to Goodreads.